© 2015 AMN, blogged with the permission of the author. Along with spam and the pirating of copyrighted material, the Internet has become a dangerous and evil place. The Web has become today’s electronic wild west with the piracy of copyrighted material, identity theft, privacy invasion, and voracious amounts of spam – to list some evils of the Web. In early 2012, Federal authorities went after a Web site that was pirating copyrighted material. In retaliation to the closing of the site and the criminal charges, hackers attacked the Web sites of Federal agencies. Anyone who purchases stolen property is committing a crime. But it is not just copyrighted videos and music that is being stolen much to the anguish of Hollywood and the music industry. Academics obtain “pdf” files of textbooks and make them available at university websites so their students do not have to purchase the books, in effect, robbing authors and publishers of royalties and income. Computer and Internet security are big issues today. Web sites are penetrated, and personal information is stolen leading to credit card fraud and identify theft. Over a weekend in mid January 2012, online shoe-site Zappos was hacked, and millions of customers’ information compromised. In 2007, Alcatel-Lucent somehow loss a data disk containing personal information about all its pensioners. Viruses and spoofing all contribute to making the Internet a dangerous place. In most cases, businesses that are hacked or that misplace disks clearly have not taken adequate security precautions. Consumers need protection – legal and technological — from the evils of the Internet and the storage of electronic information. Decades ago I worked on computer security and privacy issues on the staff of the White House Science Advisor. I learned then that the best way to keep information secure was not to make it available over any kind of network. The best firewall is a disconnected plug. But if information had to be made available, in as few cases as possible, then encryption was the best form of protection. There also had to be a need to know. Somehow all this advice seems to have been forgotten and ignored by many Internet sites. There are other sensible protections. Customers should be given an option as to whether personal information is stored or not. The personal information that is stored should be on a separate computer that is not accessible over the Internet. All information – not just credit card information – clearly should be encrypted, with passwords and keys strongly protected. Audit trails are needed so that any penetration can be quickly determined and documented. Today’s Internet crooks work from home or cozy offices – hacking their way into various web sites, spoofing legitimate web sites, stealing identities, pirating copyrighted material, and spamming the universe in promotion of whatever they are selling. And since each crime and each few bits of information seem insignificant, the Internet crooks get away with it. And, meanwhile, the Internet community at the slightest mention of any controls pleads about keeping the Internet free and open. In mid January 2012, the Internet community – led by Google – mounted a massive campaign against the legislation that would have placed some limits on the Web. The claim was made that any such legislation would be censorship. However, Google and other search sites routinely determine the order of listings – and even what sites are listed – in effect, acting as the censors. So what all the hoopla really is all about is who should set the terms of censorship – industry (which is guided solely by making a profit) or the government (which might more likely be guided by protecting the public and intellectual). A solution would be for search engines and Internet service providers to offer users the option to impose censorship and the terms of that censorship on sites. In the end in 2012, Congress caved to all the pressure from the liberal Internet community – the White House had already fallen under the influence of Silicon Valley. And so any legislative protection died – and the Internet remains free and open – a lawless and dangerous place. The Internet and Web are no longer new and innovative – electronic information, data communication, and the packet switching of the Internet are all relatively mature technologies that have been available for decades. If the Internet and Web community are not able to police and control themselves, then the only other option is government control and policing. Hollywood learned long ago that it was far better for it to police itself than suffer government regulation. One option would be for Internet access providers to offer a censored and protected level of service. It is clear that the authorities do not seem willing – or able – to do much to stop all the evils of the Internet. Perhaps the time has come for a group of Internet vigilantes to patrol cyberspace to protect copyright, eliminate spam, and attack the servers of the Internet spammers and crooks. 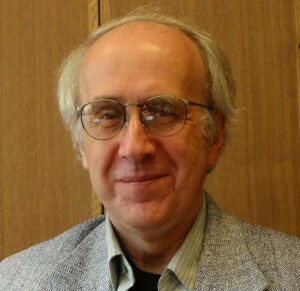 A. Michael Noll is Professor Emeritus of Communication at the Annenberg School at the University of Southern California, and a Quello Research Associate.